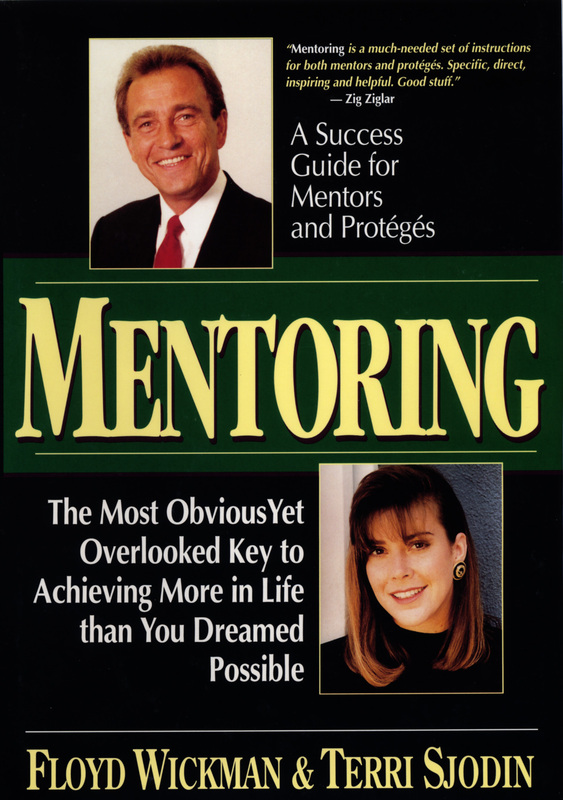 In 1997, we co-authored a book on the subject of mentoring called “Mentoring: A Success Guide for Mentors and Protégés” with the subtitle, “The Most Obvious Yet Overlooked Key to Achieving More in Life than You Dreamed Possible”. 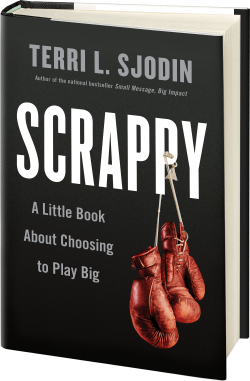 Our goal with this book, which was published by Irwin/McGraw-Hill, was to showcase the significance of mentoring and its relevance to people of all walks of life in the 1990s. Our perspective on the topic was a bit different from others at the time as we shared more practical and real-world material from actual mentor-protégé relationships versus just academic research and case studies for why mentoring works. Floyd shared from the perspective of the mentor, and Terri wrote from the perspective of the protégé or mentee, as it’s often referred to today. We didn’t write just another how-to guide for people looking to be good mentors. We offered the perspective of both parties. Most of all, we moved beyond the old-school notion of having only one major mentor in your life and put forth the concept of having multiple mentors—people who can serve as guides in specialized areas at different times during your life and career. Fast-forward eighteen years and mentoring is once again on our radar. In early 2014, we were notified that our book was officially declared by our publisher to be “out of print”. (In fairness, it was time. The book’s content and research is now a bit dated.) We had many long talks about this material and its inevitable ending. At one point, we considered writing a revised version, but it just doesn’t make sense for us. We have both moved on to other projects in our lives and businesses. That said, we are grateful for the experience and the success of that little book and believe the core of the content still offers several timeless pearls of wisdom. (You might be able to get one of the last few copies on Amazon. Or, call us if you want a slightly damaged, old copy.) Much about modern life – culture, technology, the Internet, and access to information – has changed drastically since 1997, but some things haven’t changed at all. Mentoring continues to be one of the most valuable things a person can do to move their intentions forward and reach their goals. So, to close our mentoring chapter (pun intended), we wanted to write a final article to remind people about the value of mentoring, share a few insights about what we have learned and offer a few quick tips for mentors and protégés. We both feel that mentoring is still the most obvious yet overlooked key to achieving more in life than you dreamed possible! When Odysseus, the king of Ithaca in ancient Greece, went off to fight in the Trojan War, legend has it he left behind his trusted friend, Mentor, to look after his son. The young boy, named Telemachus, was without a father for more than 10 years while Odysseus first fought the Trojans then wandered for a decade in a journey recounted by the poet Homer in his epic tale “The Odyssey.” The word mentor—meaning a wise and trusted teacher or counselor—has been with us ever since. A mentor is someone who helps us learn the ways of the world, someone who has our best interests at heart. The difference between a mentor and a teacher is usually a teacher is paid to train someone in a specific discipline, whereas a mentor is more like a friend who gives time and knowledge without asking for anything in return. A mentor’s student is commonly referred to as a protégé or mentee, generally a person interested in learning all that the mentor has to offer. The protégé is someone the mentor regards highly enough to consider worthy of his or her time. This type of relationship between mentor and protégé has been honored for thousands of years. Think “Star Wars” – Yoda is the mentor and Luke Skywalker, the protégé. Think “The Karate Kid” – Mr. Miyagi and Daniel. Think “Rocky” – Mickey Goldmill mentors Rocky Balboa in and out of the ring. No one can argue that experience is the best teacher when it comes to learning. Though reading about something or seeing it on television is interesting, having another human being explain it to you and answer your questions is a time-honored and preferred means of learning values, skills and information. Usually, there are so many details involved in the average career today that only someone who has been there and done it really understands all that is required. A mentor is someone who has experienced what you are trying to learn. He or she knows the pitfalls. If you are clever enough, you probably could figure out on your own much of what a mentor can teach you. But how long would it take? You might get there eventually, but why go through that taxing process when someone out there knows the answers to your questions? Synergy is the ability of two or more people to achieve an effect that each is incapable of alone. Mentoring works because two people, if well matched, can create more energy and accomplish larger goals together. The power of synergy is well documented and comes into play in many ways in the mentoring process. You can use this synergy with your mentor or protégé to accomplish things you never would have attempted by yourself. It is a powerful force and one of the many reasons why mentoring is so effective today. The ancients knew numerous secrets that have become lost during the course of time. The way the Egyptians prepared and preserved their dead is still a mystery. The secret to the magnificent sounds produced by a Stradivarius violin disappeared forever when Antonio Stradivari died. The great magician Houdini mastered many illusions that went with him to the grave. And many other secrets that would benefit humankind have been lost in the deaths of their discoverers. The mentoring process allows the secrets, tips and tricks of an accomplished master to be passed from one generation to the next without the information finding its way into the public domain. It provides assurances to the mentor that his or her hard-earned knowledge will be preserved yet not made available to everyone. That secret fishing hole you took your son to you may now want to introduce to your grandson, but you don’t necessarily want to publish it in the local newspaper. A protégé has the responsibility of picking up the baton previously carried by the mentor and carrying it to the next runner on the track. Through the mentor’s decision to pass on the knowledge acquired in the course of a career, he ensures the positive effects of his actions will continue without him. Many mentors become protégés later in life as they launch second and even third careers. Age simply isn’t a factor in terms of who plays which role. It’s about the transfer of knowledge. Mentoring is a contact sport. The magic is in the connection – that mashup of trust, skepticism, brainstorming, pushback, laughter and tears. While countless studies have proven mentoring creates successful outcomes for both mentor and protégé, the best evidence is that which has not and cannot be scientifically measured – only shared through the stories of those who can testify how these relationships have drastically changed their lives for the better. At times we got “push back” about mentoring…some said, the older generations can’t help the younger generations now because too much has changed…but that is not true. Marianne Williamson addressed this beautifully in an interview with Oprah when she said, “While it is true that young people know more about all the things that have changed, Older people know more about all the things that have not changed.” There is so much access to information…but what is needed is the ability to wisely interpret, analyze, assess, understand and use this information. Young people often times understand better how to access information, but mentors help them to understand what to look for, and then what to do with it. Mentoring can be accomplished in a number of ways. Protégés can certainly take an active role in choosing a mentor. They can seek out a specific person who has mastered a skill or craft they admire. But sometimes the most amazing mentor is found by happenstance. He or she shows up when the protégés are already on their path. Think about it – Luke Skywalker didn’t walk around muttering, ‘OMG, if I only had Yoda!” Mr. Miyagi wasn’t really looking for a Daniel-san to take under his wing. They all just found each other, and the mentoring unfolded from there in a natural, organic way. Create a positive environment where potential and motivation are released and options discussed. Nurture a positive character by helping to develop not just talent, but a wealth of mental and ethical traits. Promote autonomy; make the protégé independent of you, not dependent on you. Be responsible to them, not for them. Prepare specific goals for your relationship. Monitor, review, critique and discuss potential actions. Do not just expect performance without inspection. The participants acknowledge the need to encourage independence in the protégé. Use a stepping-stone process to build on accomplishments and achieve great success. It is important to teach by giving options as well as direction. A mentor should be aware that a protégé’s failure might reflect back upon him. A protégé should realize that a mentor’s advice will not always work. Commit to cover each other’s backs. Maintain privacy. Protect integrity, character and the pearls of wisdom you have shared with one another. The mentor and the protégé must balance listening with delivering information. The mentoring relationship extends beyond the typical 9-to-5 business day or traditional workplace role or position. As a mentor, when you help a protégé enter the next stage of his or her life or career, you will enter the next stage of yours. Make mentoring a wonderful experience—laugh, smile and enjoy the process. The story of our book may have come to an end, but our wonderful friendship and mentoring relationship continues to be of great value to us both. Twenty years later we are still learning with and from each other. We hope this article is of help to you, and inspires you to serve as a mentor to others and to always be a protégé at heart! We wish you great happiness and continued success on your journey. Floyd Wickman is the Founder and Chairman of the Floyd Wickman Associates/Team, an organization that produces results-oriented, successful training programs and systems with millions of students worldwide. He was named by the National Association of Realtors and Realtor Magazine as one of the Top 25 Most Influential People in Real Estate. For more information about Floyd, please visit: www.floydwickman.com. Terri Sjodin is the Principal and Founder of Sjodin Communications, a public speaking, sales training and consulting firm based in Newport Beach, CA. She is the Author of the national bestselling book, “Small Message, Big Impact” (Penguin/Portfolio Publishing). For more information about Terri, please visit: www.sjodincommunications.com.